As I may have documented in one or two posts over the last few weeks, I took a little time away from bigger craft beers for the first month of the year. No, I did not resort to Bud Light. I simply looked for low ABV craft beers...and found several good ones. 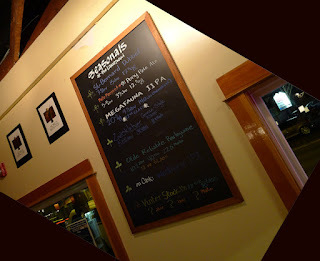 My time away was not helpful to the content of this blog because I was not doing much beer tasting or traveling. Of course, I'm leaving out a minor drinking spree at Base Camp, but that happened at the end of the month. I'm only now getting back up to speed, if that's what you call it. 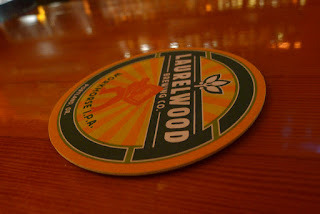 I stopped at Laurelwood's Sandy Pub for the first time in a month the other day. I discovered a Trifecta of perfection...or near perfection. First, Workhorse finally seems to have returned to what it was before they started bottling it for distribution again. You will recall that this beer was taken out of distribution for nearly a year while they dealt with hops contracts. I thought the interim, draft-only Workhorse was mostly faithful to the original recipe. Along with many others, I did not think the most recent version, the one they started bottling and kegging for distribution several months ago, was true to the original. 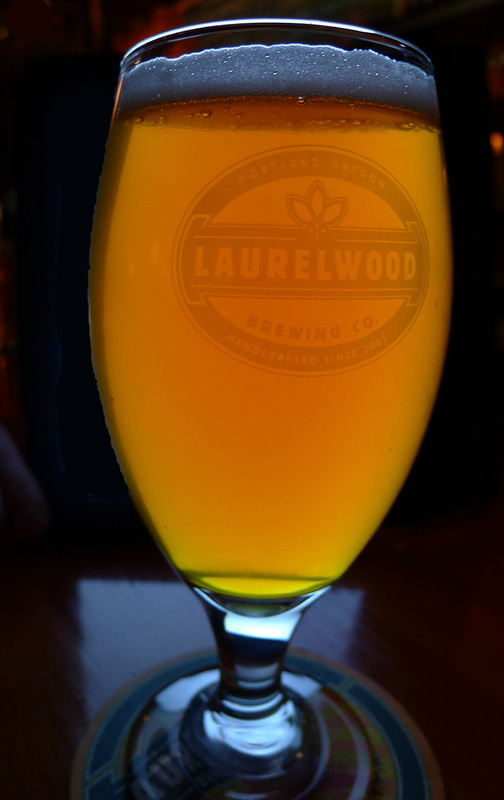 The current beer has the same cloudy, amber appearance that I'm accustomed to. The aroma and flavor profile seems pretty close to what I remember. I think this beer has been restored. 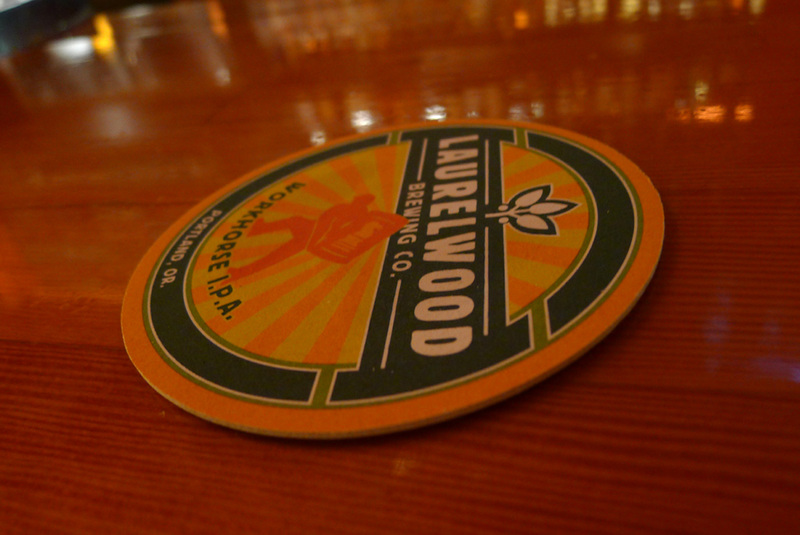 For the record, the folks at Laurelwood always contended Workhorse never changed. Take that however you wish. 140 IBUs is a calculation. We have no way to verify [the number] without expensive lab equipment. Basically, if you jack up the late hop additions, you get the flavor profile, but it throws off the calculations for utilization. It's that way with almost all 100+ IBU beers. Hop oil solubility is a tenuous, hydrophobic relationship, so these numbers can be hard to pin down. Every time you touch the beer, it looses IBUs (as well as aroma). Yeast robs a lot of bitterness. It clings to tank walls, etc. IBU has become a shorthand for people to talk about hoppiness, which is a much more complex subject. IBU doesn't reflect hop aroma or flavor at all and we would be better off or more accurate to disentangle these terms. Anyway, I thought this was a pretty fantastic beer the first time I tasted it. It is not especially bitter, relying more on very dense aroma and flavor. My guess is massive late hop additions dialed aroma and flavor to the point that they cover up (to some extent) bitterness and alcohol. When I tasted Megafauna for a second time on Tuesday evening, the aroma and flavor didn't seem quite as dramatic. Perhaps my palette was off a bit. Or, just as likely, the tenuous aspect of hop oil solubility are at work. Regardless, this is a beer worth trying as long as it's on. Petite Workhorse is exactly right. It is a beer we have been thinking about for a good while. We all love Workhorse, but it's a strong one [7.5%], thus stopping us from drinking as much as we want to. Problem solved! Brewer Shane Watterson took the lead on reformulating Workhorse for a Pale version and, with some conversation, that's what we came up with.